Calloway’s Nursery in Plano, on Custer north of W. 15th Street, is where you’ll find your inspiration with our curated plant selection, chosen for superior performance in Texas gardens. We can’t list every plant we carry, but you can use our online catalog of plants to get detailed information on many plants we offer. You’ll also find decorative items like fountains and imported pottery, as well as seasonal decorating ‘must haves’ like gourds and pumpkins for fall, and poinsettias and fresh Christmas trees for the holidays. In 2013, Star Community Readers once again voted Plano on Custer, Best Landscaping and Garden Center. 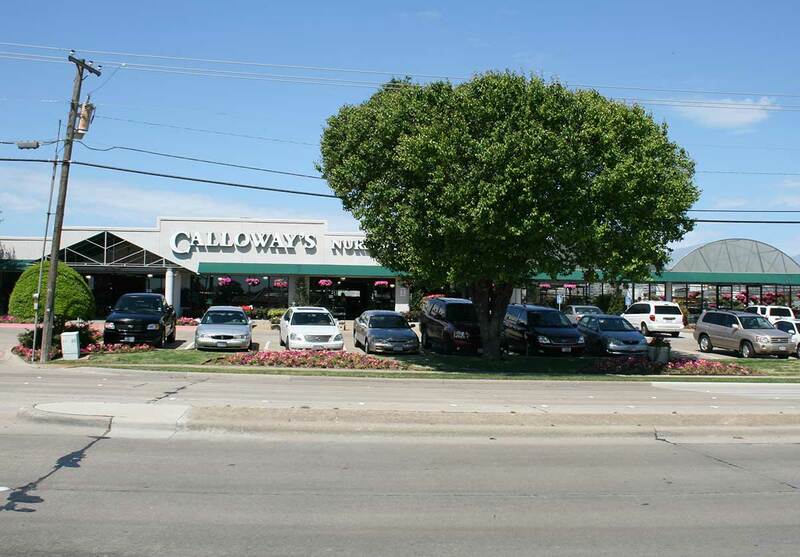 Calloway’s Plano Garden Center was voted Best Nursery/Landscape in Plano in 2010 by Neighbors Choice from The Dallas Morning News. Readers of Living Magazine Frisco/Plano selected Calloway’s as Best Nursery/Garden Center in 2017. "Calloway's carries a good selection plants. Their employees know their stock and can advise on the plants best for you. They are not the cheapest nursery, but they provide great value with advice, plant selection, and equipment. Their classes are free on caring for your lawn, pruning, starting seeds, and raising healthy plants." Marvin K.
Wilber is a Texas Master Certified Nursery Professional, the highest level of recognition awarded by the Texas Nursery and Landscape Association (TNLA). Jimmy is a Texas Master Certified Nursery Professional, the highest level of recognition awarded by the Texas Nursery and Landscape Association (TNLA).